I saw an idea a while back of a pretty neat way to celebrate the season of Thanksgiving. 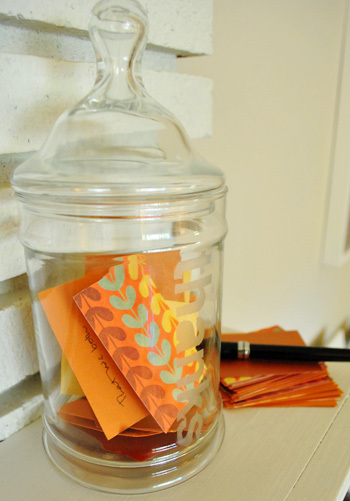 Create a “Give Thanks” Jar to collect daily thanksgivings. Keep notecards or festive scraps of paper and pens handy to jot down things that you are thankful for – then during Thanksgiving dinner, take turns reading from the jar. It was already very late in the day that I realized that today was Nov. 1st. I guess somehow I forgot that Nov. 1st is also the day after Halloween… So my scraps of festive paper… are almost cut. My pens… collected. My jar… not yet selected. But my thanksgivings… already overflowing. Who loves me, understands me, and laughs at my jokes. Who works SO hard to provide for our family. Who is the man of our house, my rock and my friend. 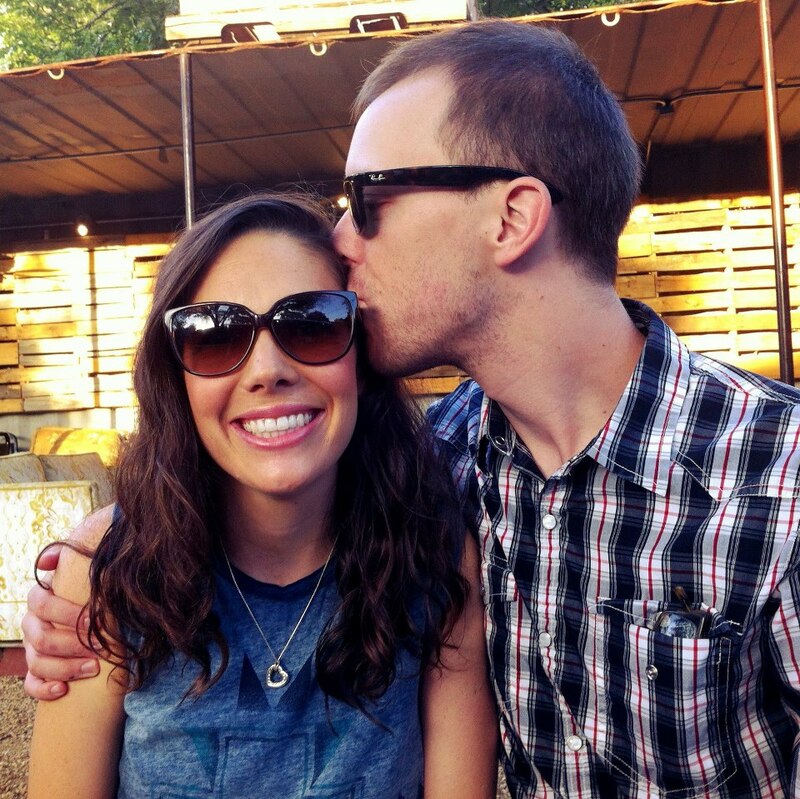 I‘m so thankful that God gave me such an amazing man to share my life with. This entry was posted in Family P and tagged daniel, family p, give thanks, give thanks jar, husband, Love, november, thankful, thanks, thanksgiving, thanksgiving jar. i had seen something similar to this and your post reminded me to start. so i cute up a bunch of strips of scrapbook paper i NEVER used and the little jar is pretty full. we are going to read them on Thanksgiving through the day and at dinner if there are any left. my mom will be here so they are all clean as whistle, though my husband thought it’d be funny to write weird stuff…when i told him we were reading them with my mom he changed his mind. hahaha.